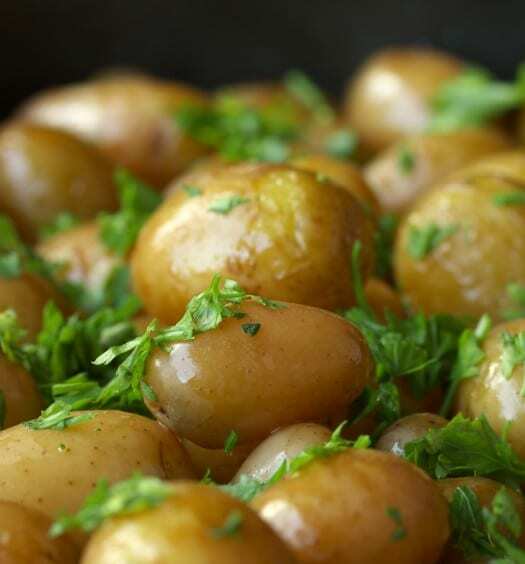 This is a really great meal that is quick to make when you’re rushing about during the week. Simply blitzing up some Keogh’s sweet chilli and red pepper crisps really transforms a simple piece of salmon into a tasty family favourite! What’s better is that Keogh’s full range of crisps are now completely gluten free. 2. Rinse the salmon in cold water, remove any visible bones, and pat dry with kitchen paper. 3. Use a blender to pulse the crisps down to a crumb consistency but not too fine (or just put them in a sandwich bag and bash them with a rolling pin!). 4. Pour the beaten egg into a wide bowl, dip the fish one portion at a time to coat the surface thoroughly, then drain off any excess liquid. 5. 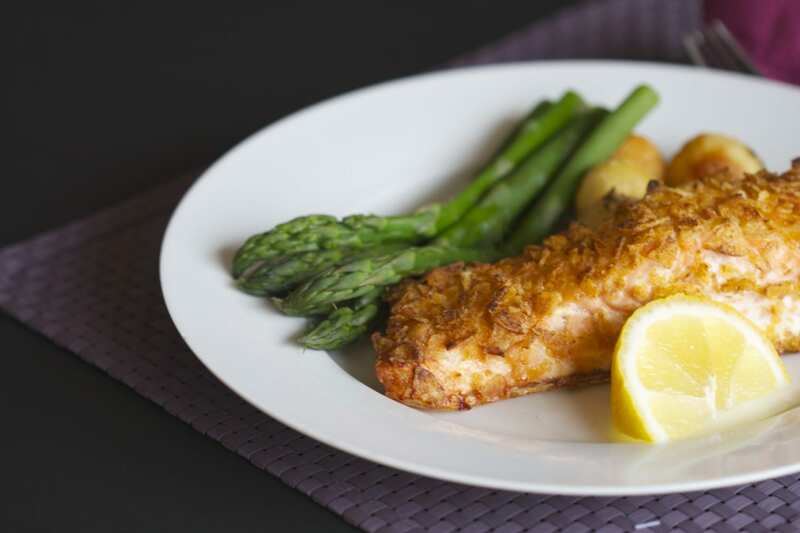 Coat each portion with the crisp crumbs and place on a lined baking tray. 6. Bake in the preheated oven for 20 minutes until golden and crispy. 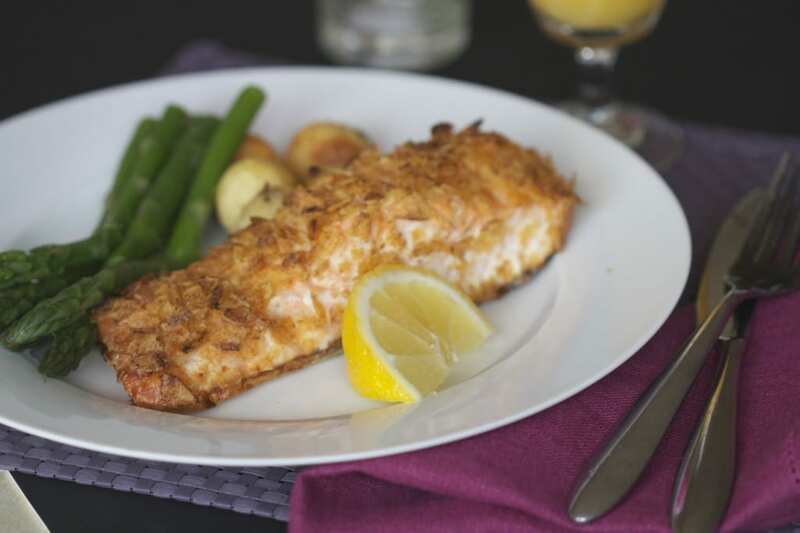 This is delicious served with some Keogh’s baby potatoes and stemmed asparagus. 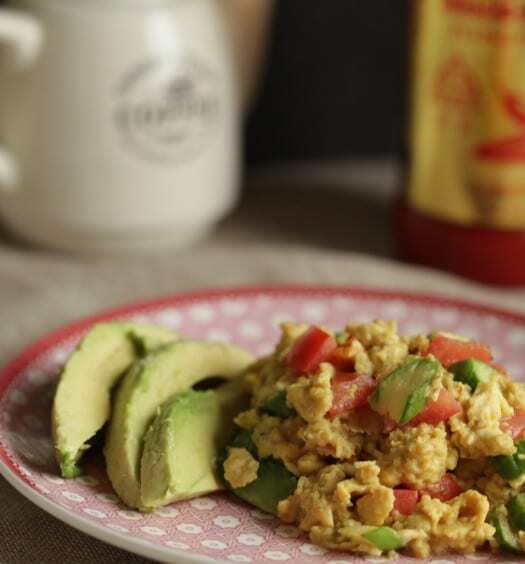 A delicious, quick and healthy midweek meal! Keogh’s Farm Favourites Multipacks are now available in SuperValu natiowide, RRP – €3.69. 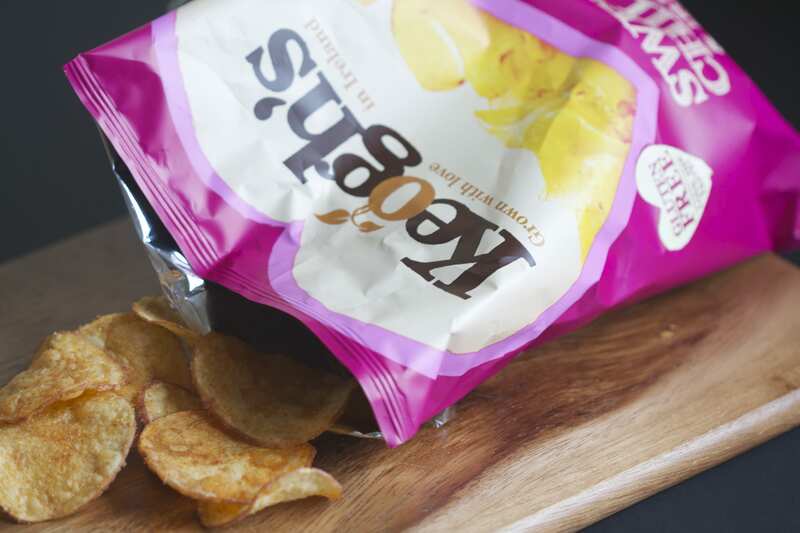 The multipack contains six packets of Keogh’s Farm favourite gluten free crisps, 2 x Dubliner Cheese and Onion, 2 x Atlantic Sea Salt and Irish Cider Vinegar and 2 x Roast Beef and Irish Stout, meaning you can now enjoy more of their delicious flavours at home or on the go. For more information check out their website.